Are you hosting a corporate event in New York City? Selecting the right transportation company to shuttle your CEO’s, executives, guest, and employees can have a major impact on the entire event. 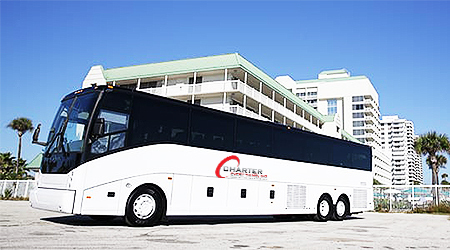 Charter Every Thing has the best vehicles and widest selection of the finest charter bus rentals in the New York area and the surrounding five Boro’s. Manhattan is the cultural, administrative and financial center of NYC and contains the headquarters for many multinational corporations all over the world. 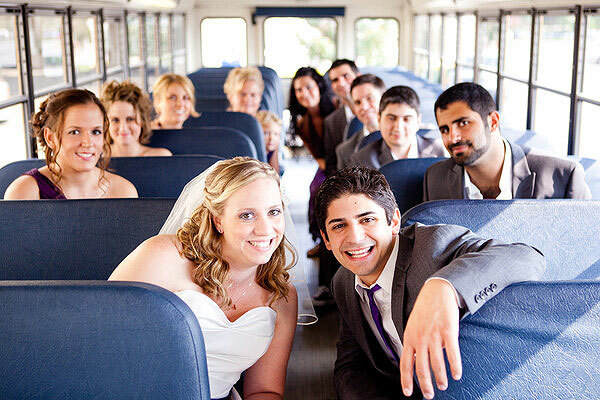 The City’s is always in high demand for quality bus transportation services for all types of major corporate events. Charter Every Thing, transports hundreds of corporate groups for client entertainment events, team building activities, corporate meetings and large company parties daily around the Big Apple with our coach bus and minibus rental. 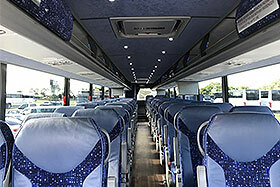 Many professionals prefer charter bus to shuttle passengers to all types of events in New York. Rent a shuttle bus to the Jacob Javits Convention Center for your next Expo or charter a minibus to shuttle guest to and from business meetings around the City. Choose our services and see why so many corporations prefer luxury coach buses as their first choice for corporate group transportation. New York City is known as the city that never sleeps. 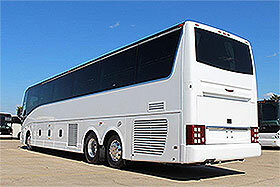 With so many landmarks and popular sights to visit in the Big Apple choosing a private charter bus rental to get around is the best option any group can make. You can tour New York avoiding the huge crowded streets, let our drivers navigate you to your selected locations with a point to point customized New York City bus tour created just for your group. Get the full New York City experience check out the Museum of Natural History, Empire State Building, 911 Memorial Museum, Times Square, Statue of Liberty, Rockefeller Center, Central Park, Brooklyn Bridge and so much more. Charter Everything will make as many stops as your group requires, we’ll be your private hop on and hop off tour bus services customized just for your group! Are you looking to take a group trip to Citi Field in Queens NY or Yankee Stadium in Bronx NY for a baseball game? How about a basketball game at the Barclays Center, in Brooklyn NY or Madison Square in Manhattan? We have the perfect charter bus and minibus options for you and your group to enjoy a fun day at any of these locations. If you choose we can provide hourly tailgating rentals or just one way transfers to and from the games of your choice. Why not make it a day to remember with so many vehicle options to select from you can choose from standard motor coaches, executive minibuses, party buses, luxury sprinters and shuttle vans. 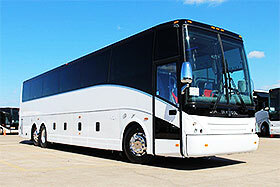 We’ll accommodate any group size from 10 passengers to 61 passengers in our luxury vehicles. Take all your must have items to the next game we have storage for anything that will make your trip more enjoyable. We also offer white glove VIP services with our party buses and limousines style coaches for any group looking for an extra special touch to the next big game. Choose from cases of water, ice packs, coolers for sodas, alcoholic drinks, cups, utensils and we also provide private caterers if you require. When you choose Charter Every Thing for your next event you can count on us to make it a day you’ll never forget. Give is a call our staff is eager to assist you with your next charter bus rental anywhere around the metropolitan area.